Another exquisite creation of this Turkish artist who prefers asymmetry and color splashes. 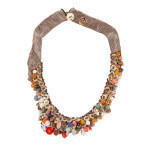 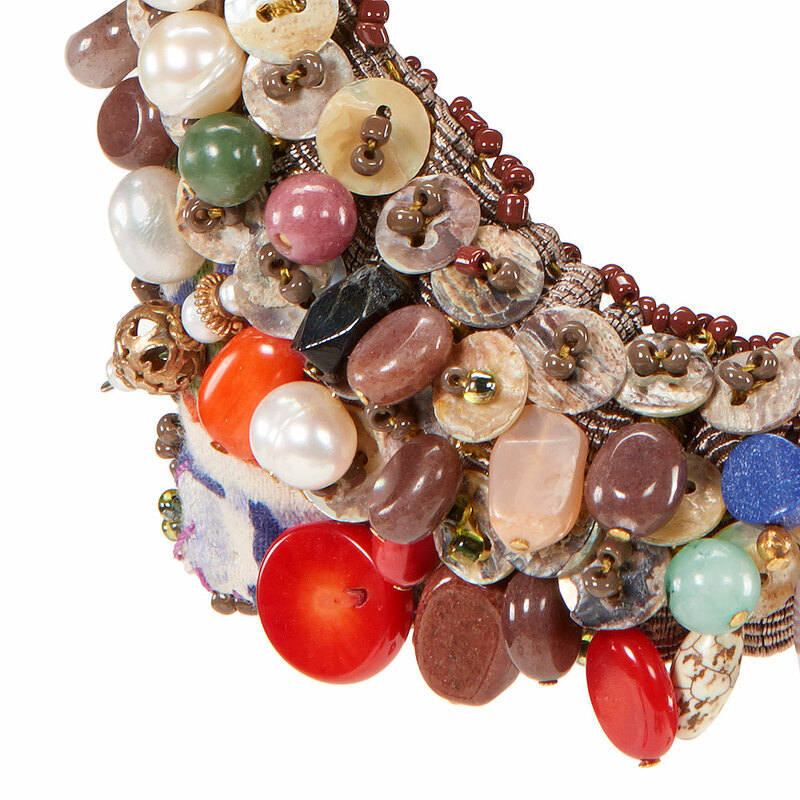 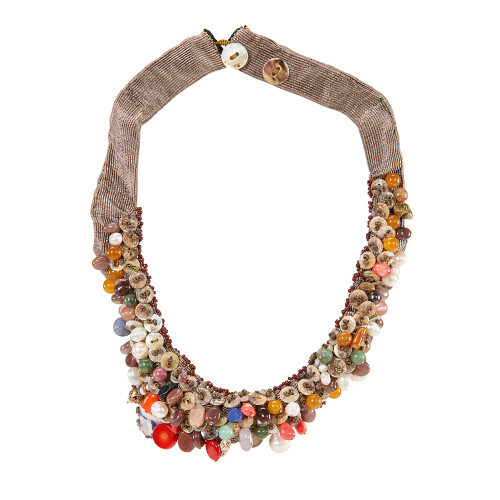 This time we have a necklace on brown silk with many pearls and stones in brown hues, but also in red, blues and greens. 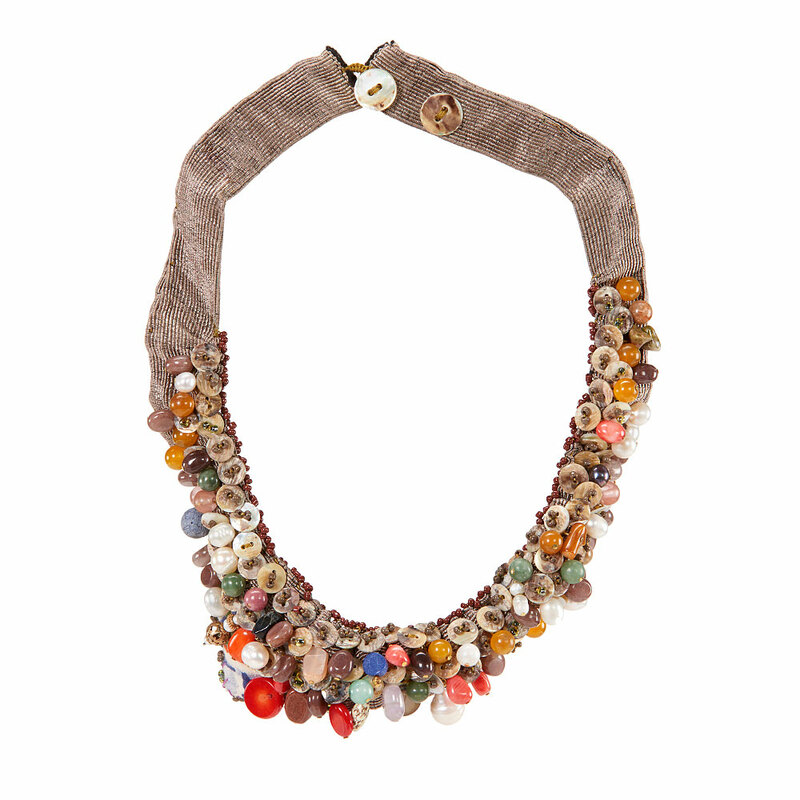 The result: a warm accessory that is sure to bring light and color to any choice of clothes.